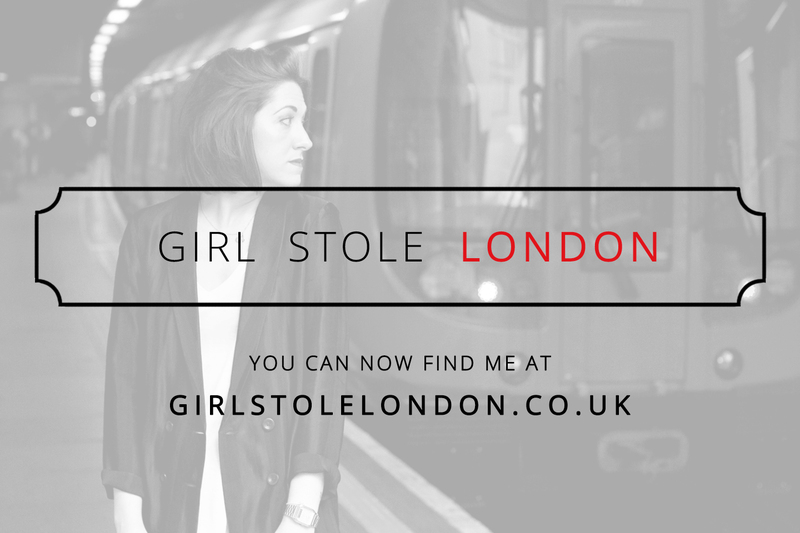 THE GIRL WHO STOLE LONDON: #LFW SS14. MONDAYS LOOK. Ze ASOS furrrr is back out babestations. It's officially Autumn. Off to see KTZ on LFW Monday I decided to get a little bit goth wid it. 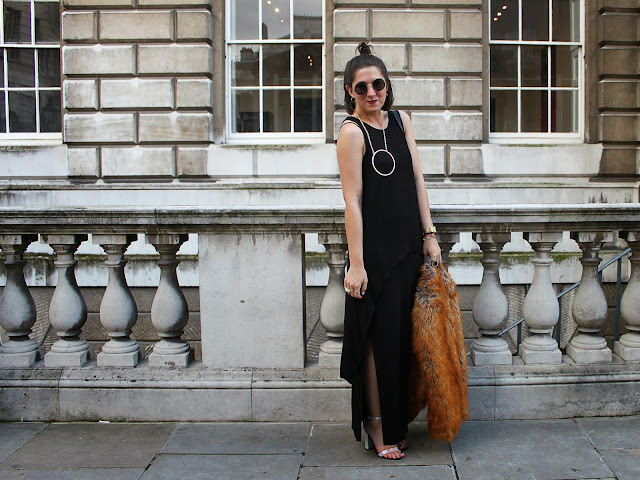 Black is by far my fave non-colour so I opted for all black errrrrthing in the form of an ASOS extreme dip hem vest, River Island maxi skirt with a side slit to expose bit of leg (cheeky) and my Marlborough bucket bag. Mute outfit foundation applied I decided to let the accessories do the talking and there seemed no better time to give my Zara TRF holographic heels their first outing then on the mean cobbles of Somerset House. Rounding off my outfit (see what I did there?) I chucked on my colossal circle chain and Lennon specs. Boom. 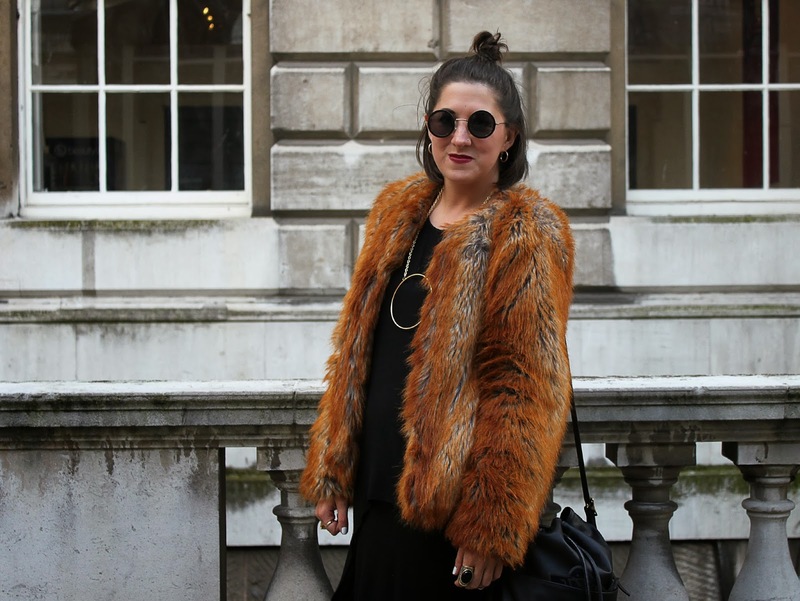 Are YOU feeling my look for LFW day 3?? ?